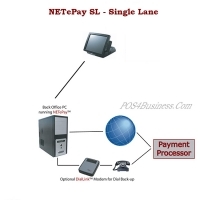 Datacap NETePay adds high speed electronic payments to any PC-based business system. Using standard Internet or other TCP/IP virtual private network service, payments are authorized in as little as 2 seconds. Also, automatic fail-over to dial back-up is available by adding Datacaps fast-connect modem, DialLinK. NETePays client/server architecture is scalable to fit the needs of any size enterprise and is currently operating in businesses ranging from a single register to over a thousand stores. 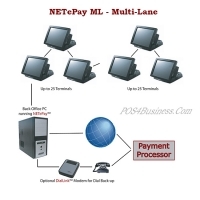 The NETePay client, DSIClientX, is integrated to the POS application and sends encrypted multi-threaded transaction requests to NETePay server, which can be located at each store, a headquarters location or at a remote payment services operator location. 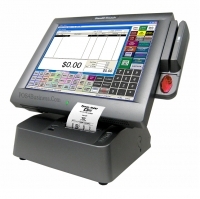 Easily integrated with a single interface for all major processors, NETePay is relied on by hundreds of PC-based systems developers in various retail and food service segments to reliably and efficiently handle their payment requirements.